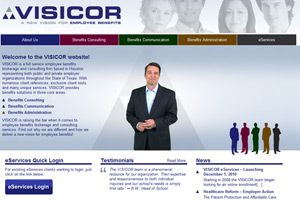 Big Splash Web Design created a custom consulting firm website design for VISICOR, a Houston-based employee benefits brokerage and consulting firm. VISICOR came to Big Splash Web Design needing a redesign of their website that would allow them to better highlight their services and news. 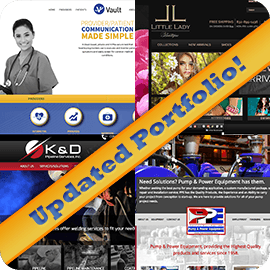 This client was seeking a modern, dynamic site that offered flexibility in promoting their business, and also feature their new eServices Online Benefits Administration Portal. The new site design accommodates extensive use of custom video, and callouts on the Home feature Customer Testimonials, Latest Benefits, and Company news in addition to the eServices Online Portal.